If you're considering adopting a puppy or buying a dog for your family, you should adopt rescue dogs from an adoption shelter instead because one of the best ways to go about acquiring this pet is by lending a careful thought to the strayed and abandoned animals, specifically with regards to dogs. The sad reality is that many dog owners are not adequately informed on how to care for their pet, and more often than not, lack the necessary skills to train and raise them making them all the more prone to neglecting their responsibilities as owners, which result in unhappy, ill-behaved or bad-tempered dogs, and in the worst case scenarios, will lead to abandonment. When considering adopting a dog from a shelter, there are some important factors to take into consideration. First, understand that a lot of dogs are impounded or surrendered because their previous owners failed to prevent or solve behavior problems. Now that does not mean this is particularly the dog's fault, more often than not, it's a question of the owner lacking the dog training skills or being misinformed on the compatibility of the dog's breed with the lifestyle of the owner. Remember that the breed of your dog will dictate much of his personality, health and training character. If the breed you have your heart set on is not available at your local shelter, there are plenty of shelter homes to look through. Nevertheless, know that every shelter offers a handful of wonderful dogs. One more way to help you in your adoption process is to inform yourself about the shelter, ask for references from other people you may know that have adopted a dog from the shelter you are thinking of adopting from. If you don't know anyone, ask the shelter for them to provide you with contacts of some of the adoptions they have had. One distinct disadvantage to adopting from a shelter is the uncertainty it involves. You do not have the benefit of knowing the dog's parents, whether your dog will grow up to be big or small, active or lethargic, outgoing or reserved. Not knowing the health background of your dog is probably the biggest disadvantage of adopting from a shelter. 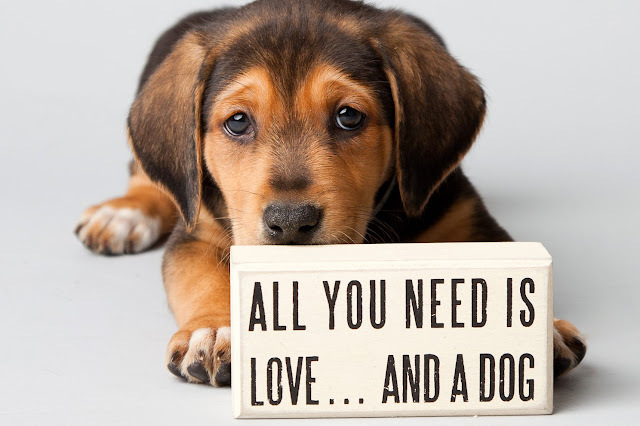 Nevertheless, your dog will have the same emotional and physical needs and has the same capacity to learn new tricks and show you love just as any other dog. Another very important aspect to keep in mind is, of course, the physical state of the dog. Many shelters are limited in the health resources they can offer the dogs, so it is strongly recommended both for you and the dog, to consult a veterinarian within the first weeks after adopting. In addition to health issues, you must be aware that the background of the dog is mostly unknown so realize that the dog may have some emotional scars to recover from. These scars will be the most important thing to help him forget in the early stages. Many shelter dogs have unpleasant pasts, but if you work diligently and lovingly to gain his trust, you will create a valuable pet friend for many years. Once adopted, it is recommended that the transition be smooth for the animal. Do not give him/her too hastily within an active environment, especially with kids around, until you see that it is comfortable with its surroundings. Fortunately, dogs are very forgiving and they will almost always respond to affectionate efforts. Keep in mind that your adopted dog will need extra doses of love, understanding, and patience as he learns to place his confidence in you. So when the day arrives where you are ready to bring in a new "member" into your family, realize that adopting a dog from a shelter is not only a cheaper solution, it is also a way to help the overpopulation of shelter animals and give "Man's Best Friend" a second chance, which will be very rewarding in itself.